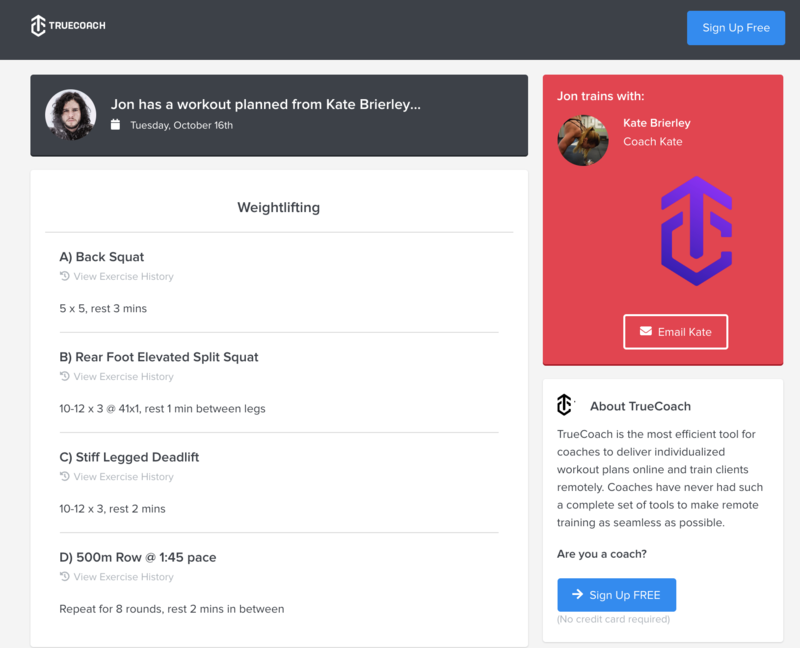 We have a few ways for your clients to share their workouts from TrueCoach to the world. Their results will display, however any comments between you and your client will not. 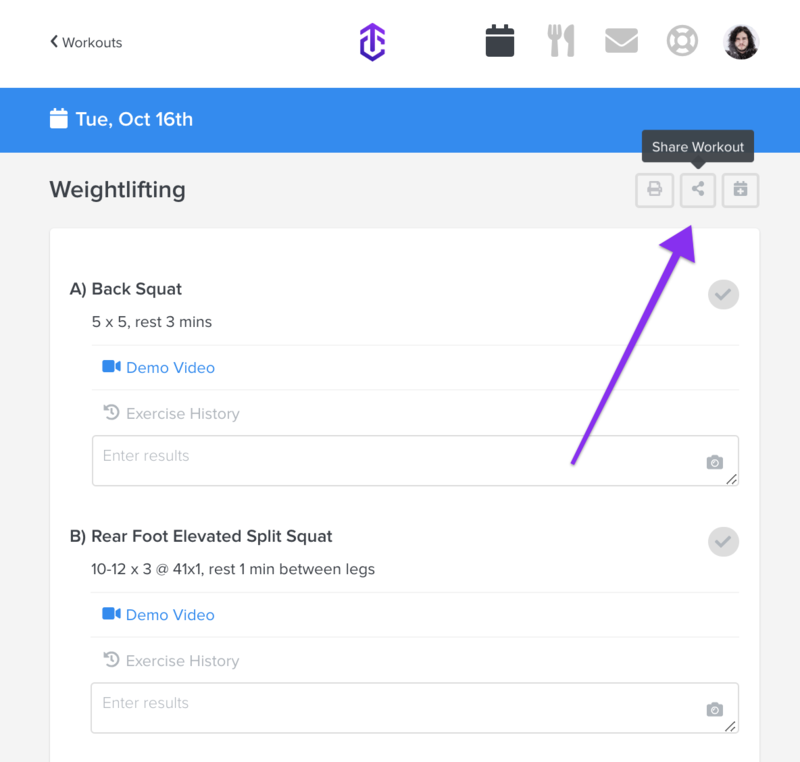 From there you can select which channel you'd like to share from whether it's social media or a private link to send to a friend. Make gains, tell the world!